NCERT Solutions class 12 Maths Exercise 6.5 Class 12 Maths book solutions are available in PDF format for free download. These ncert book chapter wise questions and answers are very helpful for CBSE board exam. CBSE recommends NCERT books and most of the questions in CBSE exam are asked from NCERT text books. 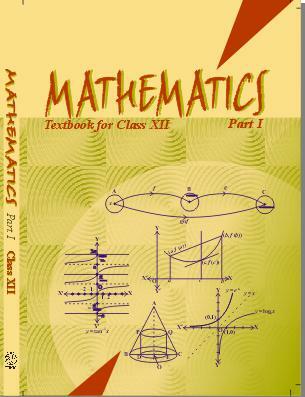 Class 12 Maths chapter wise NCERT solution for Maths part 1 and Maths part 2 for all the chapters can be downloaded from our website and myCBSEguide mobile app for free. Download NCERT solutions for Applications of Derivatives as PDF. This function does not have a maximum value. And this function does not have a maximum value. And therefore, minimum value of does not exist. Therefore, maximum value and minimum value of do not exist. From eq. (i), maximum value of hence it does not exist. From eq. (i), minimum value of hence it does not exist. Therefore, minimum value of is 4 and maximum value is 6. Therefore, minimum value of is 2 and maximum value is 4. Therefore, neither minimum value not maximum value of exists. can have values in both I and III quadrant. But, therefore, is only in I quadrant. can have values in both II and IV quadrant. But therefore is only the turning point. But this gives no real value of Therefore, there is no turning point. does not have maxima or minima. But this is not possible. Therefore, there is no turning point. Here, values of are imaginary. Therefore, absolute minimum value of is and absolute maximum value is 8. Therefore, absolute minimum value is and absolute maximum value is 1. Therefore, absolute minimum value is and absolute maximum value is 8. Therefore, absolute minimum value is and absolute maximum value is 19.
has a local maximum value at . 7. Find both the maximum value and minimum value of on the interval [0, 3]. Since is imaginary, therefore it is rejected. Therefore, absolute minimum value is and absolute maximum value is 25. 8. At what points on the interval does the function attain its maximum value? For Interval [1, 3], is turning point. Therefore, maximum value of is 89. For Interval is turning point. Therefore, maximum value of is 139. 13. Find two numbers whose sum is 24 and whose product is as large as possible. is a point of local maxima and is maximum at . Therefore, the two required numbers are 12 and 12. 14. Find two positive integers and such that and is maximum. It is clear that changes sign from positive to negative as increases through 45. 15. Find two positive integers and such that their sum is 35 and the product is a maximum. Now is rejected because according to question, is a positive number. Also is rejected because from eq. (i), = 35 – 35 = 0, but is positive. Therefore, is only the turning point. By second derivative test, will be maximum at when . Therefore, the required numbers are 10 and 25. 16. Find two positive integers whose sum is 16 and sum of whose cubes is minimum. is a point of local minima and is minimum when . Therefore, the required numbers are 8 and 8. 17. A square piece of tin of side 18 cm is to be made into a box without top, by cutting a square from each corner and folding up the flaps to form the box. What should be the side of the square to be cut off so that the volume of the box is the maximum possible? Ans. Given: Each side of square piece of tin is 18 cm. Let cm be the side of each of the four squares cut off from each corner. Then dimensions of the open box formed by folding the flaps after cutting off squares are and cm. Let denotes the volume of the open box. is rejected because at length = which is impossible. · is minimum at i.e., side of each square to be cut off from each corner for maximum volume is 3 cm. 18. A rectangular sheet of tin 45 cm by 24 cm is to be made into a box without top, by cutting off square from each corner and folding up the flaps. What should be the side of the square to be cut off so that the volume of the box is maximum? Ans. Given: Dimensions of rectangular sheet are 45 cm and 24 cm. · is minimum at i.e., side of each square to be cut off from each corner for maximum volume is 5 cm. 19. Show that of all the rectangles inscribed in a given fixed circle, the square has maximum area. At , area of rectangle is maximum. Therefore, the area of inscribed rectangle is maximum when it is square. 20. Show that the right circular cylinder of given surface and maximum volume is such that its height is equal to the diameter of the base. Ans. Let be the radius of the circular base and be the height of closed right circular cylinder. Therefore, the volume of cylinder is maximum when its height is equal to the diameter of its base. 21. Of all the closed cylindrical cans (right circular), of a given volume of 100 cubic centimeters, find the dimensions of the can which has the minimum surface area. 22. A wire of length 28 m is to be cut into two pieces. One of the pieces is to be made into a square and the other into a circle. What should be the length of the two pieces so that the combined area of the square and the circle is minimum? Ans. Let meters be the side of square and meters be the radius of the circle. Therefore, the wire should be cut at a distance from one end. 23. Prove that the volume of the largest cone that can be inscribed in a sphere of radius R is of the volume of the sphere. 24. Show that the right circular cone of least curve surface and given volume has an altitude equal to time the radius of the base. Ans. Let be the radius and be the height of the cone. Ans. Let be the radius, be the height, be the slant height of given cone and be the semi-vertical angle of cone. Choose the correct answer in the Exercises 27 to 29.
and are two points on curve (i) which are nearest to (0, 5). [Turning point] and it belongs to the given enclosed interval i.e., [0, 1]. Maximum value of is 1. In solution 17th, it should be maximum not minimum.